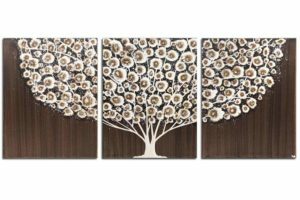 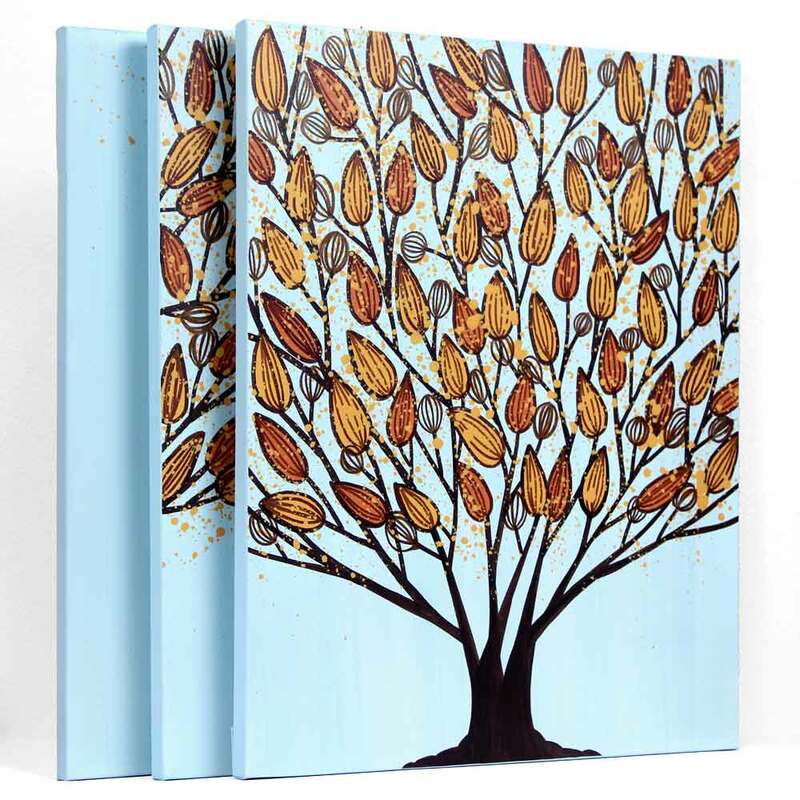 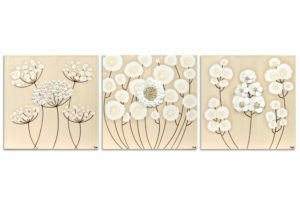 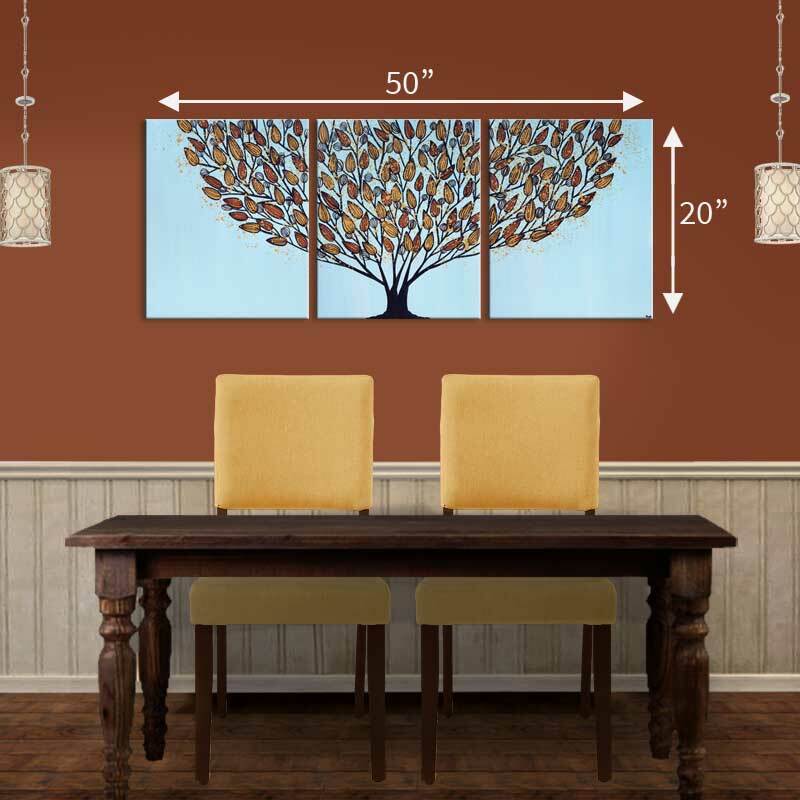 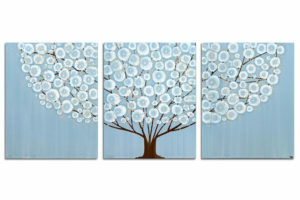 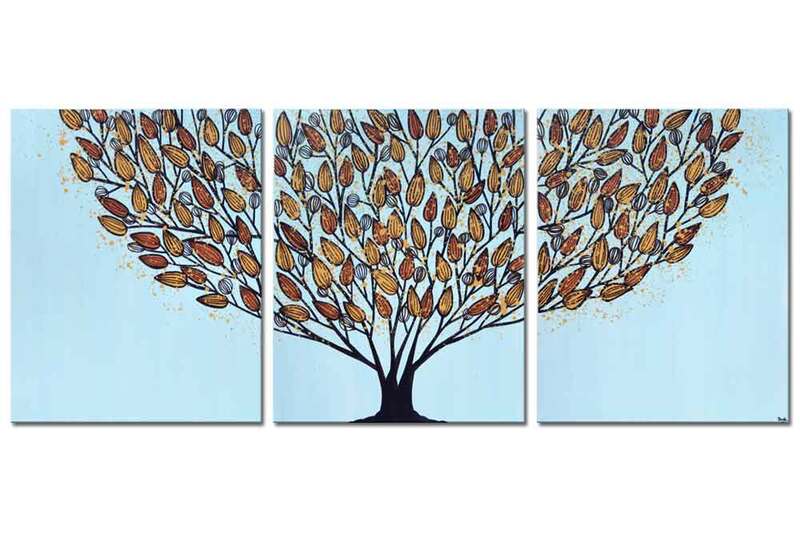 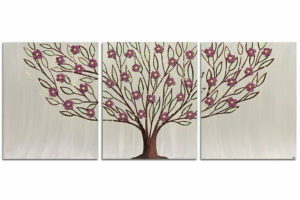 This blue and orange wall art is hand-painted on three canvases that hang as a large triptych. 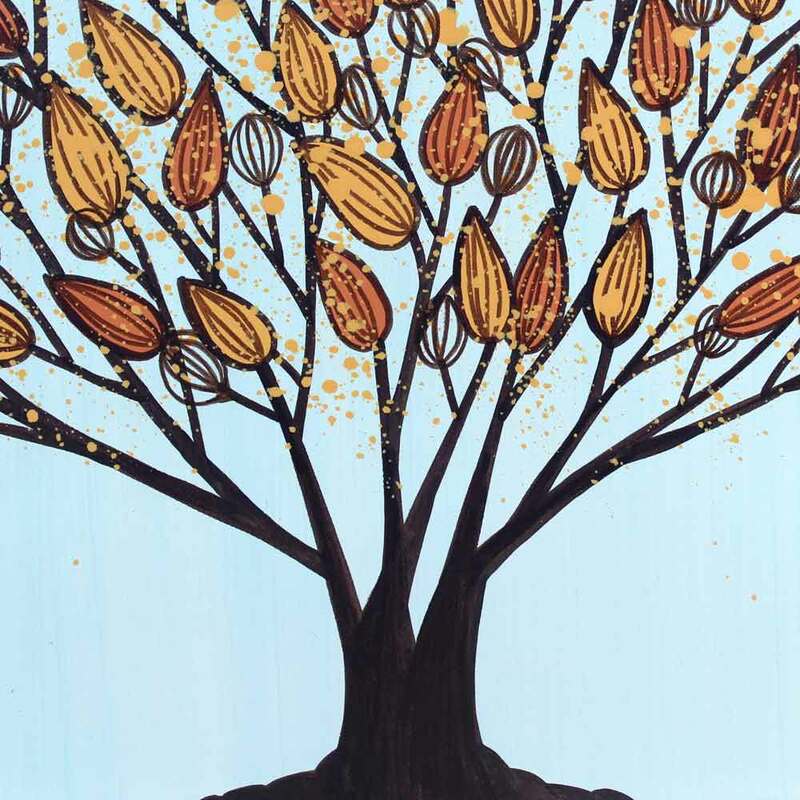 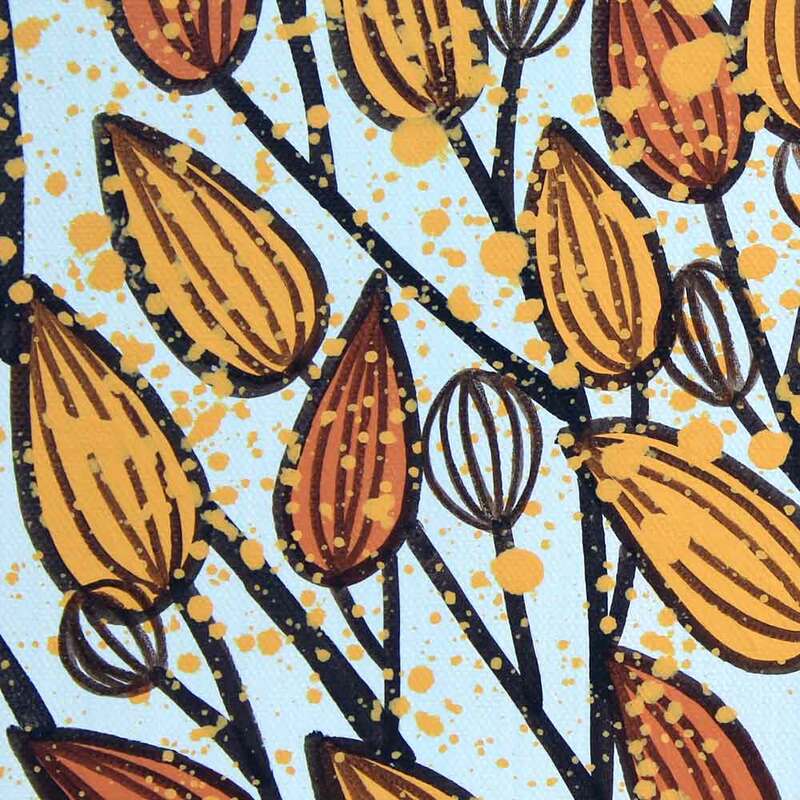 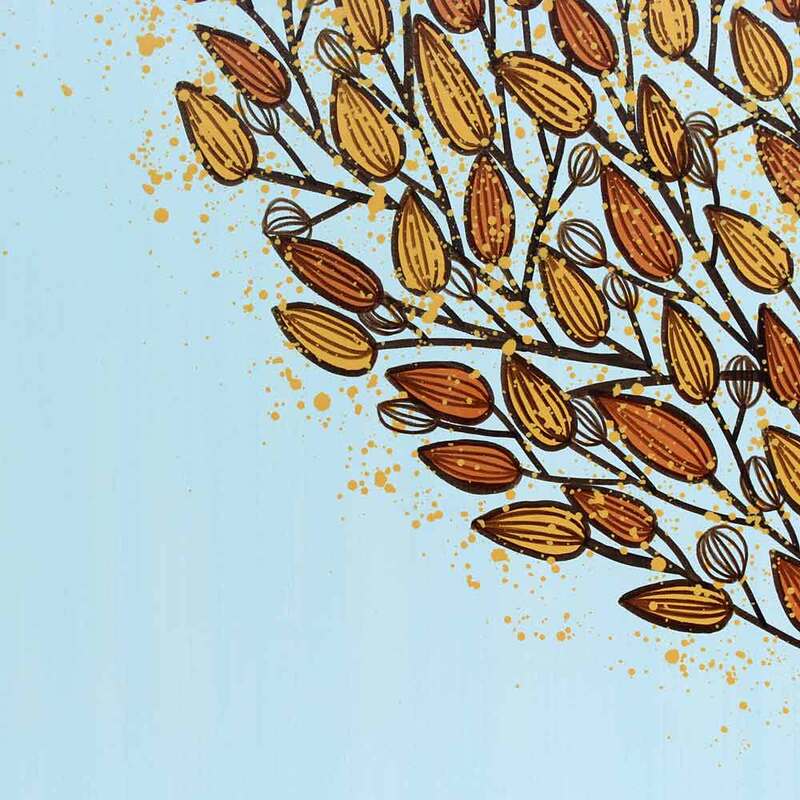 The autumn tree is hand-drawn in brown India ink. 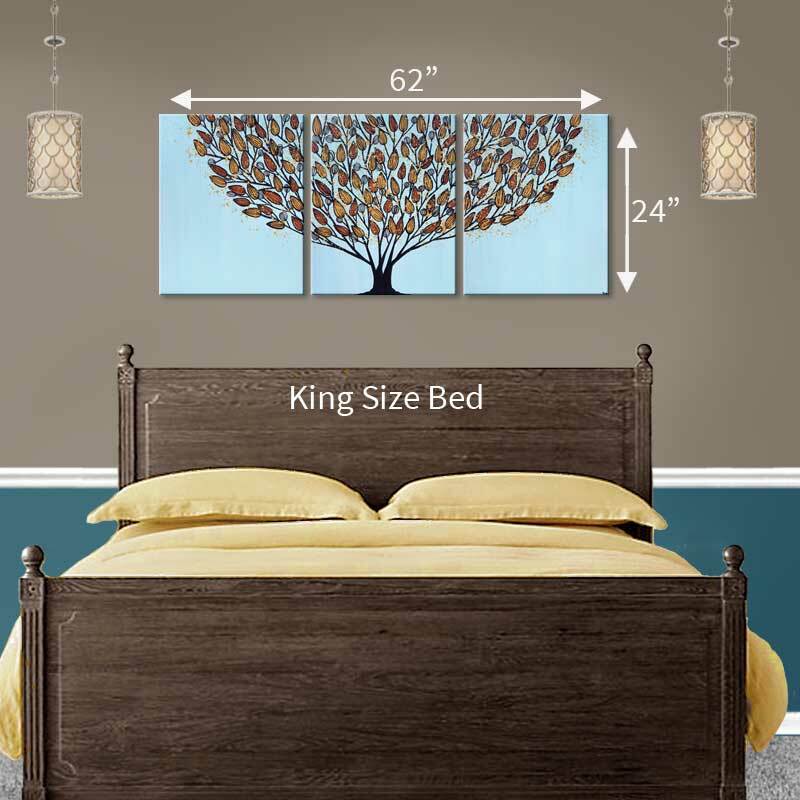 Coordinates well with dark walnut furniture finishes.